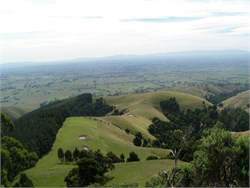 Travellers to GippsIand travelling East from Melbourne gain their first impression of the lushness of GippsIand at this major service town for an established pastoral, agricultural and dairying district. Drouin Nature Reserve has 3 km of walking tracks set in 14 hectares of natural bush land, featuring a boardwalk surrounded by Scrambling Coral and Soft Tree Ferns. 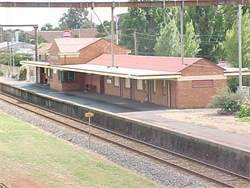 Drouin is set against a scenic rural background, home to a number of parks and gardens, and a great golf course. During February the flowering of the Ficifolia gum trees along the Princes Way culminates with the Ficifolia Festival.